A consistent award winner in SA Country Press Association annual judging, The Loxton News is published at Loxton, the business centre for both the largest irrigation area in the Riverland region of South Australia and also the Northern Mallee farming district. 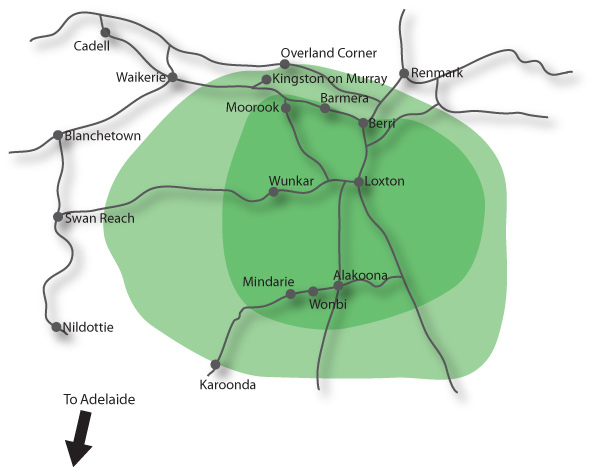 Located on the River Murray, 250km north east of Adelaide, Loxton is the administrative centre of the Loxton Waikerie Council. Citrus, grapes, almonds, olives, stone fruits, vegetables, cereals, sheep, wool and cattle are products of the Loxton district, as is wine, fruit juice, olive oil and dried fruit.